Warner Brothers Games Montreal adds 100 new jobs, thanks to an economic development grant from Quebec. 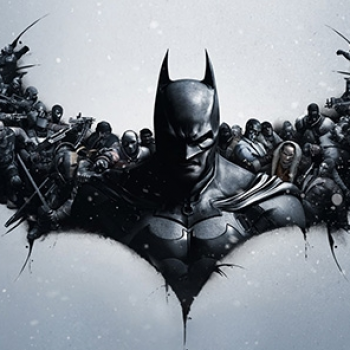 Warner Brothers made a big move when it shifted the upcoming Batman: Arkham Origins to its Montreal studio. Previously a developer of casual games, it was expanding to deal with larger fare. To help the transformation, the government of Quebec is investing $1.5 million into Warner Brothers Games Montreal to expand its operations. This grant is just the tip of a five-year, $63 million project to buy new equipment and add around 100 jobs. CTV News claims that each of those jobs should pay about $70,000 annually. "This Warner Brothers studio here in Montreal only opened three years ago but it is growing rapidly," said Warner Brothers Montreal Studio Chief Martin Carrier. "In five years' time the executives here expect that this studio will be on a par with every other Warner Brothers studio." WB apparently has big plans for the studio. "By the end of five years, it'll be 2018, there should be 500 people here and I think we'll be one of the best-known studios in the world," said Martin Tremblay, the President of Warner Brothers Interactive. Meanwhile, Warner Brothers isn't alone, as Ubisoft recently expanded its Canadian operations using public funds as well. Those of you looking at getting into the industry might want to start considering a move to the frozen north.